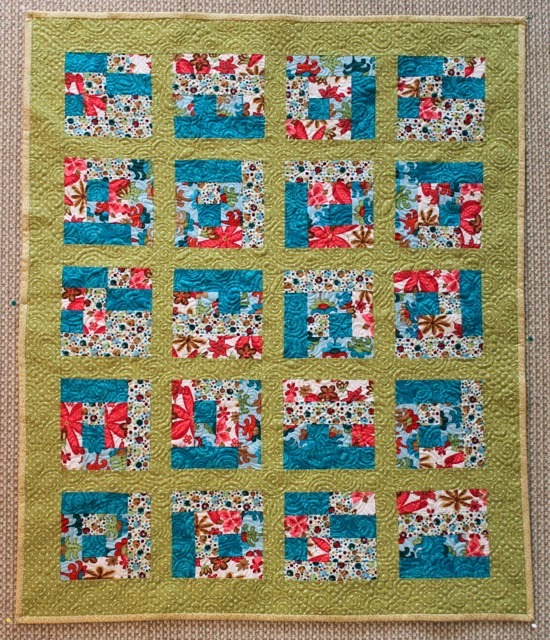 I recently purchased a class from Craftsy - Machine Quilting Negative Space with Angela Walters. It was a really inspiring class with so much information and ideas - all clearly and simply explained. In part of the class Angela shows you how to create a wide range of affects and patterns using swirls, circles & leave patterns. Angela is a born teacher - her emphasis is on simple patterns - that you should have fun with - perfection is not necessary. 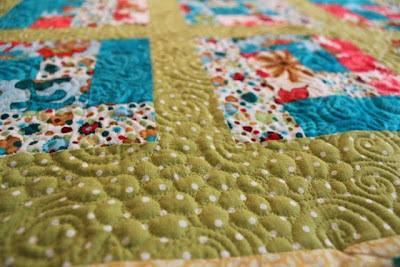 I was so inspired I grabbed this little quilt I have had lying around for ages and began swirling out a pattern on it. 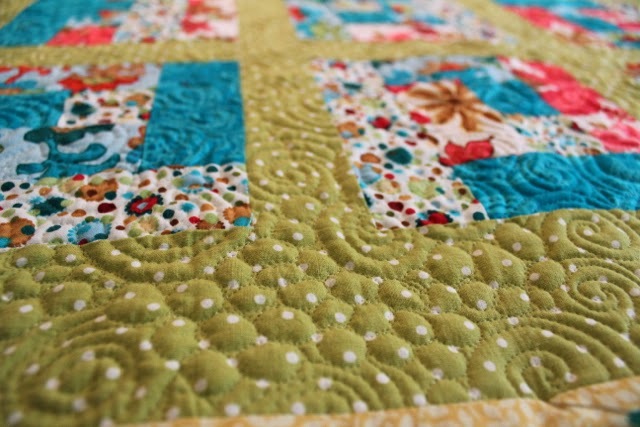 I have long been pouring over Leah Day's Free Motion Quilting Project designs. But what I felt Angela showed so much more clearly was how to incorporate simple designs together and/or at different scales and voila you can create endless effects and designs. After I finished this portion of her class it was like 'ah ha' moment had clicked in my head and finally - finally - I seem to have made friends with my BSR foot. I felt totally inspired and surprisingly confident at putting into practice what I had learnt after taking this Craftsy class online. 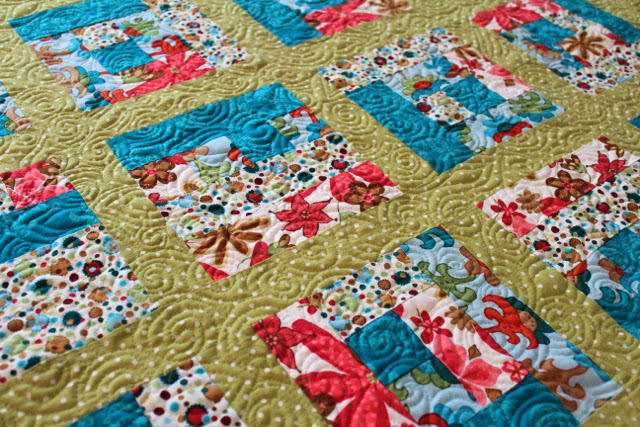 I would recommend it it anyone who is learning to free motion quilt. 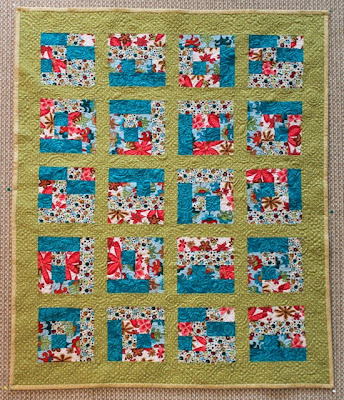 This little quilt was made from scraps I had left over from a fun little apron project in March 2009 and it is now available in my Etsy Store.